Babylon Village is an officially incorporated village of New York and part of the larger Town of Babylon. Settlers purchased the land from the Sumpwam tribe in 1670 primarily for the purpose of harvesting salt hay to feed livestock. While used for farming the area was known South Huntington and was part of Huntington Town, but its waterfront land became an attractive draw for travelers and wealthy summer visitors and lead to the growth of a full-fledged town through the 19th century. Its current name was adopted when the town gained its own governing board in 1872 and became incorporated in 1893, perhaps as an acknowledgment of the clamorous nature of its position as a summertime diversion and recreational area for those who could afford long stays at its numerous famed hotels. 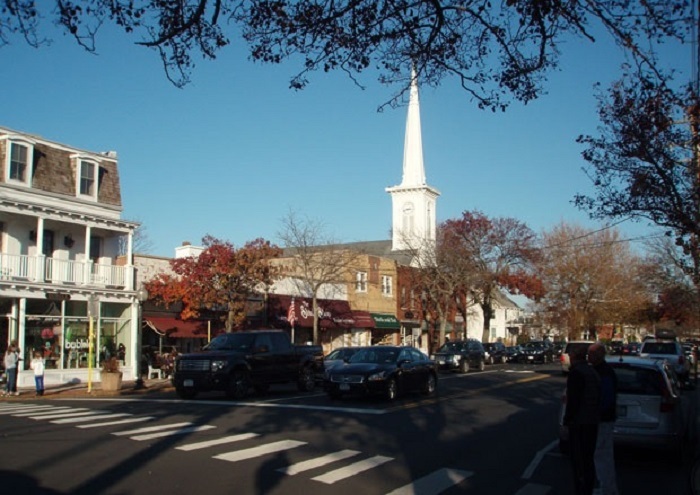 Today, the village fosters an expanding shopping and business district centered on its Main Street and employs a union free school district. The suburban community is now home to a number of highly regarded restaurants, and hosts a popular crafts fair and shopping events in autumn. Residents of note include comedian Rodney Dangerfield, mob associate and informant Joseph Iannuzzi, builder Robert Moses, and two-time Cy Young Award winning MLB pitcher Bret Saberhagen. As of the 2010 census, Babylon had a population of 12,166 with 4,436 households and 3 persons per household. The median household income was $97,407 and the per capita income was $44,293. 2009 estimates place a median income for males at $58,059 and for females at $38,770. Town of Babylon - Get information about the Town of Babylon.